Recently, in the media surrounding Bitcoin, you may have heard about an event called the “block reward halving” that will soon be taking place in the Bitcoin network. Projected to take place on Wednesday at around 18:00 UTC, for the first time ever in Bitcoin history, the rate at which new bitcoins are generated will permanently be cut by a factor of two, and people all over the Bitcoin community are debating what the economic consequences are going to be. Opinions range from those who believe that Bitcoin will enter a period of extreme financial instability as it is caught off guard by the sudden shock in supply to those who believe that the markets will simply hum along as if nothing had happened at all. What this article will do is explain exactly what the block reward halving is, the economic issue that is at the core of the debate, and some of the more subtle effects that could arise from this in the medium to long term. In order to understand what’s going to happen on Wednesday, it’s important to first understand how money creation in Bitcoin works. The database that keeps track of which addresses have how many bitcoins is stored in the form of a “block chain”, which is extended by one block roughly once every ten minutes. Each block contains all of the transactions that have taken place during that time, and when a block is added to the chain, it signifies a consensus among the Bitcoin network that those transactions took place at that time. As time goes on and more blocks are added on top of that block, the consensus solidifies, and after four to six blocks, any attempt to fraudulently change the transaction history to your own benefit becomes impractical because of all the work that has already been done overtop. Blocks can be created by any node on the Bitcoin network, and to regulate the rate of block creation, the network imposes constraints on the form that a valid block can take, with the result that it requires a lot of trial-and-error work to find a block that is valid – so much work that the entire network only manages to find one roughly once every ten minutes. That is a constant; there is an adjustable parameter called the “difficulty” which the network collectively manages to make sure that the actual block creation rate never strays far from that value. Because creating (or “mining”) blocks is so crucial to the security of the Bitcoin network and yet so hard, the Bitcoin protocol includes a mechanism to encourage people to mine: every time a block is added, the miner who found the block is given 50 BTC as a reward. There is also another mechanism to encourage mining called transaction fees, which will grow in importance in the far future, but for now, the block reward is by far the largest financial incentive to encourage people to participate in the block creation process. 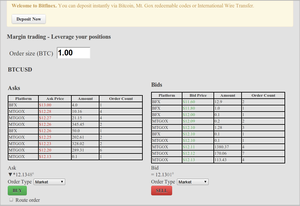 The block reward also has another function; it the only way that new bitcoins come into existence. Any bitcoin that you send or receive was at one point somebody’s block reward. So What’s Happening to it, and why? 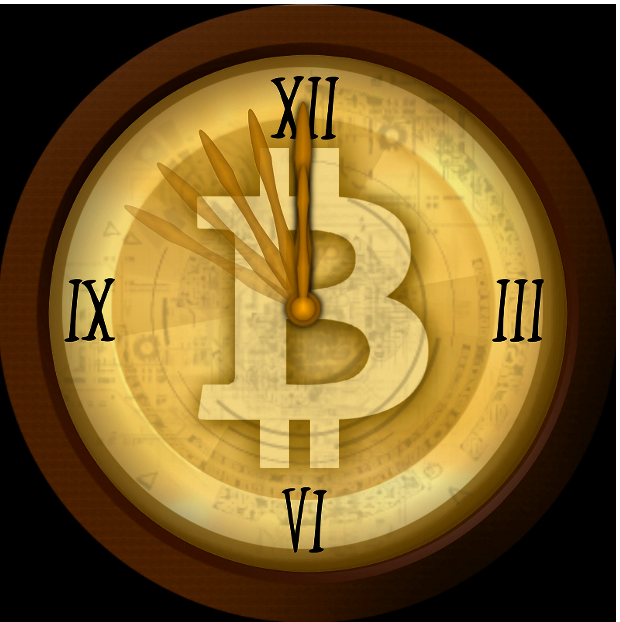 The rate at which new bitcoins are introduced into the system was never intended to stay at 50 BTC per 10 minutes forever. Rather, Bitcoin has a monetary policy that was coded into the system right from the start that reduces the rate over time, until the generation of new bitcoins finally stops entirely at a maximum of 21 million in 2140. There will still always be one block coming out every ten minutes, but the number of bitcoins handed out as a reward in each block will come down in sharp steps, cutting in half about once every four years (precisely, once every 210,000 blocks). The event that will happen on Wednesday is exactly this; after block 210,000 hits, every block thereafter will have a reward of only 25 BTC instead of the original 50 – at least until the next block reward halving in 2016. The main reason why this was done is to keep inflation under control. One of the major faults of traditional, “fiat”, currencies controlled by central banks is that the banks can print as much of the currency as they want, and if they print too much, as happened in Weimar Germany in 1923 and Zimbabwe in 2007 (among many other unfortunate examples), the laws of supply and demand ensure that the value of the currency starts dropping quickly. Because the only use for money is to exchange it for something else later, a currency that is rapidly decreasing in value becomes even less valuable for that very reason, leading to a hyperinflationary spiral. In the later stages of such a calamity, hundred billion dollar bills littering the ground is not an uncommon sight. What Will The Economic Effects Be? The question that most people are focusing on right now is what will happen to the Bitcoin price. Thought on the issue is currently split into two camps. Those in the first camp believe that the decrease in the block reward will cause a “supply shock” in the Bitcoin economy as the number of available bitcoins suddenly goes down, pushing the price up by as much as two times to compensate. This line of thought rests on two key hypotheses. The first is that the supply of bitcoins on the market is largely made up of miners trying to collect a profit, and current major holders play a smaller role. This hypothesis holds increasing weight as mining becomes more and more dominated by professional “mining companies” seeking to earn a profit, and was bolstered further in another way by a recent study by Dorit Ron and Adi Shamir which found that 78% of bitcoins currently in existence are not in active circulation. It’s important to note that the Bitcoin price may also, at the same time, move for other reasons. Right now, Bitcoin has climbed from $10.8 to $12.1 over two weeks, likely because WordPress started accepting Bitcoin, and historically price has been highly correlated with search volume as well. Bitcoin may simply continue its current short-term trend because another organization decides to accept it, or public interest in Bitcoin goes up in the short term, regardless of what happens because of the change in the block reward. Okay, you mentioned more subtle effects. What else? There is one reason to be concerned about the consequences of the event for the Bitcoin economy. In order for Bitcoin merchants to succeed, they need consumers who have bitcoins with which to pay them. The one group that is receiving a constant supply of bitcoins to spend is the miners, and so there is a possibility that miners are an important consumer base for the Bitcoin economy. An article by The Verge called them “Bitcoin’s working class“. With the block reward cutting down from 50 BTC per 10 minutes to 25 BTC, the amount of bitcoins that this crucial demographic has to spend will be cut in half, leading to a significant loss of volume to businesses which depend on them. However, there is also another very profound change that will soon take place in the Bitcoin mining ecosystem: the introduction of the ASICs. ASICs, or “application specific integrated circuits”, are a kind of specialized computer chip that is designed to do only one task, but do that one task extremely well. They are used in a variety of applications including memory blocks, digital voice recorders, cars, and PDAs, but around the beginning of this year a, number of companies have started work on adapting the technology to Bitcoin as well. The result? Mining computers ten times more powerful per dollar spent on both electricity and hardware than anything else that has come before. These two effects combined can only mean one thing for Bitcoin’s existing crop of miners: a sudden, drastic drop in revenues to anyone who does not upgrade. Currently, blockchain.info estimates that the average miner spends $0.3-$0.6 on electricity and bandwidth for every $1 that they earn from mining. In 2013, those miners who do not upgrade would be paying the same amount in costs but earn only a tenth as much once ASICs reach 50% market share. Outside of special circumstances, like landlords paying for electricity or mining doubling as a heating system, mining with anything but an ASIC will not yield a profit at all. Thus we are going to see not just a reduction in revenue for Bitcoin’s miners, but also a shift in who Bitcoin’s miners are. Those with large racks of GPUs in their spare rooms or mining software running on their gaming computers will fade away, and a new, considerably more amateur, wave of Bitcoin enthusiasts with ready-made ASICs from businesses like Butterfly Labs or Avalon will take their place. Of course, there will be many GPU miners who do upgrade, and just like the issue of how much of the upcoming supply shock is already “priced in,” just how much the mining community will change once ASICs come into play is a wild card. Of course, the question of exactly how important the miners are is a wild card in itself. One of Bitcoin’s leading payment processors, BitPay, is reporting transaction volumes of $550,000 per month, or $18,000 per day – 2.5 times the current daily currency creation rate. However, there may be specific sectors of the economy that are more dependent on Bitcoin miners, and the potential exists that the new group of miners has drastically different preferences in terms of saving versus spending that may either augment or cancel out much of the supply shock. There are lots of block reward halving parties happening around the world. You can find a short list here. If there isn’t one happening in your city, take the opportunity to find some fellow Bitcoin users in your city and create your own!